New KitchenAid Mixer replacement gasket. 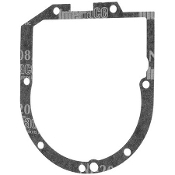 Our Products >> KitchenAid Mixer 4162324 Replacement Gasket. KitchenAid Mixer 4162324 Replacement Gasket. 3K45, 3K5, 4K45, 4K5, 4KPD16, 4KSM150, 4KSM50, 4KSM90, 5K45, 5K5, 5KPM50, 5KSM150, 5KSM156, 5KSM45, 5KSM5, 7K45, 7K5, 8KSM90, 9KSM150, 9KSM90, BEA30, K45, K4, K5, KSM5, KSM90, KP5, KPM5, KSM100, KSM103, KSM111, KSM120, KSM150, KSM151, KSM155, KSM158, KSM160, KSM45, KSM5, KSM75, KSM90, KSM95, KSMC50. Basically this will fit all 3,4,5 quart mixers. This will not fit any 6 quart machines!